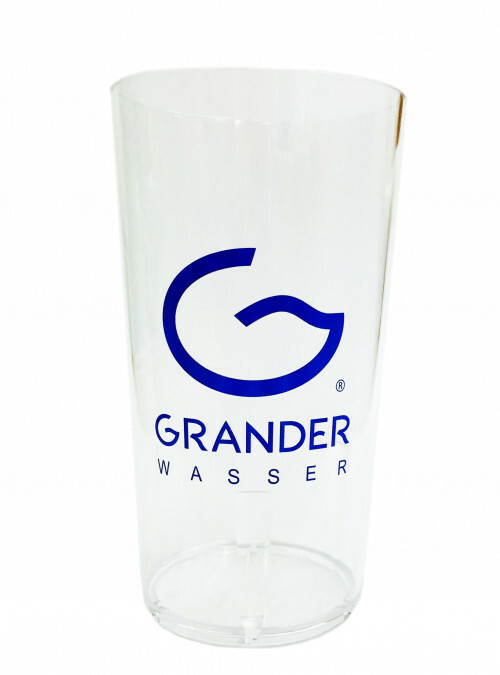 The GRANDER® Plastic Reusable Cup is crystal clear with a stylish, simple shape and a capacity of 0.2 l .
The GRANDER® Platic Reusable Cups are used primarily in spa areas, gyms, medical practices, companies, public buildings, events, etc. The GRANDER® Reusable Plastic Cups are sturdy, food safe, easy to clean and dishwasher safe. They look like glass and are unbreakable, lightweight and reusable. Printed with the original blue GRANDER® logo they are the ideal complimentary accessory to the stylish GRANDER® drinking fountains. The cups help in reducing garbage as well saving energy and resources, thus protecting the environment .